Barack Obama is trying my patience. Don’t get me wrong, I still believe he inherited a mess from George Bush and is doing the best he can to turn the ship of state around. However allowing his Attorney General Eric Holder to come out against California’s Prop 19 is not only “not change”, it is an endorsement of the racist enforcement of our nation’s drug laws. While roughly 12% Anglos and 11% of Blacks and Hispanics are consumers of illicit drugs, criminal justice statistics dramatically demonstrate an over-representation of Blacks and Hispanics arrested for the use of illicit drugs and in those who go to trial and who are ultimately sentenced to jail. It is no accident that Prop 19 is endorsed by the NAACP and California’s LULAC. They are joined by LEAP (Law Enforcement Against Prohibition), SEIU ( Service Employees International Union), DPA (Drug Policy Alliance), NORML (National Organization for Reform of Marijuana Laws) who all say YES on Proposition 19. In the almost 40 years since President Nixon declared a war on drugs, tens of millions of Americans have been arrested and hundreds of billions of dollars have been spent. Yet drugs are just as available now as they were then. And the impact has been felt most strongly amongst Hispanics, Blacks, and the poor. There are many good reasons to support proposition 19. The most obvious is because we have a failed drug policy. Cannabis has been illegal since 1911. Not only is cannabis still widely used and available, but our present failed drug policy is racist. It’s costly. It is undermining the Constitution. It decreases respect for the police. It fuels gangs and gang violence and U.S. drug policy is responsible for 8,000-20,000 deaths per year in Mexico. The NAACP and the LULAC of California both recognize how U.S. drug laws are used to marginalize discriminated against minorities. The adverse affects are detailed in Michelle Alexander’s new book, The New Jim Crow. In it, she points out that a drug conviction automatically makes a person a second-class citizen who can be legally discriminated against in housing and employment, denied school loans, and barred for life from serving on juries, accessing public benefits and even voting. While African Americans make up only about 13 percent of the U.S. population and about 15 percent of drug users, they make up about 38 percent of those arrested for drug law violations and a mind-boggling 59 percent of those convicted for drug law violations. With Hispanics, the numbers are not quite as dramatic but are still appalling. We now have 7,000,000 Americans, one out of every thirty two American adults, incarcerated, on probation or on parole, and they are disproportionately young Hispanic and Black males. Historically, Mexican-Americans have been demonized by associating the Hispanic population with marijuana use. This effort becomes more intense in economic hard times. This trend started shortly after the Mexican Revolution in the early 20th century when large numbers of Mexican workers came across the border. Mexican-Americans were used as a whipping boy to generate anti-marijuana hysteria. In the 1930s Harry Anslinger, head of the Federal Bureau of Narcotics, led the propaganda campaign to make marijuana possession a federal crime. He was an avowed racist as evidenced by this quote about marijuana (which at the time was commonly known as cannabis), “its effect on the degenerate races.” He was referring to “Mexicans, Negroes, Puerto Ricans, jazz musicians and other social undesirables,” as he described those he said used marijuana. The anti-Mexican, anti-Hispanic rhetoric continues to this day. Voting YES on Proposition 19 will be another big step to defeating this kind of racism. Right now among California’s likely voters, 63% of Latinos are likely supporters of Prop 19. The recent support of the California LULAC and a brief refresher on the odious history of marijuana prohibition should be enough to continue that momentum toward cannabis decriminalization. Just as alcohol prohibition did, marijuana prohibition is enriching organized crime. Instead of regulating marijuana to control who can access it, policymakers have ceded control of the $400-billion-a-year global drug market to crime syndicates and thugs. In Mexico, parts of the country are like Chicago on steroids under Al Capone. 28,000 people have died from drug war violence since President Calderon launched a war three years ago against well-armed, well-funded drug trafficking organizations. The U.S. government doesn’t report its prohibition-related deaths, but law enforcement officers, drug offenders and civilians die every day in our country’s war on drugs too. Use of marijuana or other illegal drugs is rampant amongst our elected officials, yet few suffer any adverse legal or social consequences. President Obama used drugs. Former President George W. Bush was an admitted alcoholic and credible rumors say he regularly used cocaine. Then there’s Bill Clinton, who famously said he smoked pot but didn’t inhale. Al Gore, Newt Gingrich, New York’s Mayor Bloomberg, former and current governors Jesse Ventura (I-MN),Gary Johnson (R-NM), Arnold Schwarzenegger (R-CA), and Sarah Palin (R-AK) all admit that they consumed cannabis. The war on drugs hasn’t just failed; it’s created problems of its own. The drug war is a good way to waste money. It has cost billions. In the last 30 years in California, we’ve built 22 new prisons and 4 new colleges. 20-30% of third strikes are for minor drug violations and taxpayers spend $40,000/year to incarcerate these folks. Laws restricting the availability of sterile syringes have increased the spread of AIDS and hepatitis C. The war on drugs, or more accurately the people who use drugs we’ve demonized, has weakened the 1st, 4th, 5th, 9th and 10th Amendments of the Constitution. The opposition is grasping at straws. A recent article in L.A. Times was about a presumed marijuana addict, whatever that is. She spent $5,000/year on cannabis. At current rate of roughly $400/ounce, that is slightly more than an ounce/month, or one .9 gm joint per day. This is just 10% of the amount of marijuana that the federal government provides to a person on the federal IND program. Most likely this person was self-medicating for her anxiety. Another boogeyman of the Prohibitionists is that legalizing marijuana will increase use amongst teens. Most likely, the passage of Prop 19 will decrease the number of teens using it. Compare Holland 13% to the U.S. 19%. The Dutch Minister of Health stated “We have succeeded in making pot boring.” When Prop 215 was on the ballot, the prohibitionists said pot use would go up. It hasn’t. It has gone down. Legalization could also aid the war on terror by freeing immigration and other border control resources to target terrorists and WMDs rather than the illegal drug trade. Under prohibition, moreover, terrorists piggyback on the smuggling networks established by drug lords and more easily hide in a sea of underground, cross-border trafficking. We’ve heard cannabis is dangerous. Yet experts say it’s less harmful than coffee. Henningfield & Benowitz compared 6 commonly used recreational drugs – alcohol, tobacco, heroin, cocaine, coffee and cannabis. Which one was the least harmful? Cannabis. 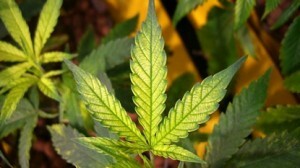 Even so there are some who do develop a dependency on marijuana. Legalizing cannabis would aid in treatment. Jail is not treatment. Prop 19 encourages those also might need help to get it legally. We have heard that passage of Prop 19 will increase the number of users. This seems unlikely because of the current ease in acquiring marijuana. Illicit sales are encouraged because of the money to be made on the black market. The alcohol model of tax regulate would make cannabis harder to obtain. The late conservative pundit William F. Buckley, founder of the National Review and for 33 years moderator of public television’s Firing Line, said it was easier for an eighth grader to get marijuana than alcohol. Why? Because alcohol is taxed and regulated and marijuana is not. The liquor store owner has an investment to protect, the illicit seller of marijuana does not. It is time for life to go on in California. Vote YES on PROPOSITION 19! David Bearman, M.D. is the Vice President of the American Academy of Cannabinoid Medicine and author of Demons, Discrimination and Dollars: A Brief History Of The Origins of American Drug Policy. Webmaster’s note: There seems to be a rift between the Washington, D.C. LULAC and the California LULAC mentioned in this blog post. Please read this for more clarification. I wish these people would just be honest and admit that they want to legalize pot because they want to smoke it and sell it. Passing this initiative isn’t going to end the drug war in Mexico, as pot is only a small part of it. It’s not going to end racism either. If this is legalized, the corporations will take it over and market it to minorities just like the alcohol companies do. I’m still undecided on this issue. What a flippant response. I have met judges, law professors, medical professionals, etc. who have advocated for the decriminalization of mj, and I don’t think that they are any more inclined to light up should this law pass. I know that many people in my own social circle don’t have time for it…maybe it’s different amongst the people you know. I know that I would rather have my tax dollars devoted to more serious offenses than the personal use of marijuana. It would be better to tax and regulate it than to have it continue to thrive on the black market. I think that Dr. Bearman makes some excellent points. The bottom line for me is not about reacreational or medicinal use, its about making a drug that is already easily available legal. You are not going to stope a user from obtaining cannibus. So let’s regulate it, reduce the number or arrests and detainees, and tax it and make some much needed extra revenue for our ailing state. While Anna may be correct in indicating that most people who advocate for the legalization of cannibus are users, they are not dealers. Dealers have nothing to gain from Prop 19. As far as stoping the drug war in Mexico, I think Anna should read up more on the true causes of that war, and no where in his article does Dr. Bearman indicate that Prop. 19 would stop it. I don’t believe that Dr. Bearman’s statement that the U.S. drug policy kills 8 to 20 k people in Mexico a year is correct either. The cartel wars, the “Zetas”, the army, the police all play a factor and its not all due to drugs. Extortion, kidnapping, lonesharking, prostitution and other things come into play as well. The U.S. fuels that demand, Mexico, Colombia, Bolivia, Peru and other countries just help meet the demand. Truth be told that most of California’s cannibus is grown in California. The cannibus obtained for co-ops and clinics is not bought from Mexican dealers, its bought from home growers. Dr. Bearman is not saying that it would end racism either. He is saying that there is disprortional number of arrests against people of color and how can you argue against that? I agree with the webmaster, we should focus our law enforcement efforts on more serious offenses. If Prop.19 is passed, how will the use of mj, be regulated? Who gets it?, How?, Where?, Why?. Currently all you need is to have “some other illness”, whatever that maybe and a doctors prescription. It’s was a truthful response. I guarantee you that the main funders of this initiative want to sell it. Also, Bearman’s statistics conflate marijuana with all drugs. How many drug arrests and convictions are based on marijuana possession alone? I think what bothers me is that they are using “racial justice” to frame the argument, when they don’t care about minorities. Give me a break. If this becomes legal, minorities are the ones they will target as their customers, just like the alcohol industry targets minorities. They will have a big base of poor, uneducated people here in CA who will be suceptible to their marketing. I bet they are counting the dollars already. Oh well, maybe if all the drunks switch to pot, there will be fewer drunk driving accidents and crime overall. I read that 80% of all crime among Latinos involves alcohol abuse. Why is marijuana illegal in the first place? other losses and costs… FOR WHAT? the Tommy-guns and mafia were affected. The violent crime evaporated nearly instantly. is not so OBVIOUS to these Americans. a gringo, it is my place to speak up. the prohibition would have been repealed. These selfish bureaucrats don’t care.